Sorry for the late notice but we just found out that today’s Let's Move! 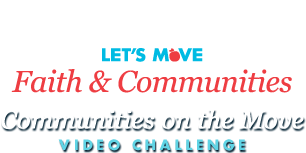 Communities on the Move Video Challenge event is being live-streamed at www.whitehouse.gov/live. The event has started and runs until 3:30. Thanks again for participating and sharing the great work you are doing in your communities!